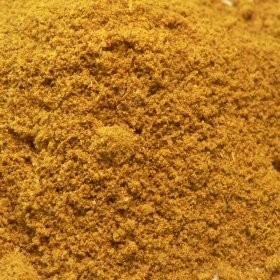 Curry Powder was developed by the British during their colonial rule of India so that the flavour of India could be more easily brought home. The powder is a blend of spices that has come to have a fairly standardized taste is Western culture, but there are countless variations in India. Most curry recipes will contain coriander, turmeric, cumin, and fenugreek.